“On this seventh anniversary of the first World Malaria Day we have entered a new era in the fight against this ancient scourge. 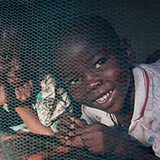 With child deaths from malaria declining from one million to under 500,000 since 2008 when we first commemorated World Malaria Day, the tide has turned and we are on a trajectory to break the back of this leading global killer of children. We have arrived at this historic moment thanks to the dedicated leaders of endemic countries; committed donor countries and organizations including the Global Fund to Fight AIDS, Tuberculosis and Malaria and the World Bank; and a community of malaria supporters who have delivered lifesaving tools to hundreds of millions of people living in malaria-endemic areas. In the first quarter of this year alone, nearly 44 million long-lasting mosquito nets were delivered worldwide, enough to protect nearly 90 million people – the single biggest influx of malaria prevention worldwide, ever. This work hasn’t just saved lives, it has strengthened families, communities and countries. Investing in malaria remains one of the ‘best buys’ in global health, with reductions in malaria unlocking human potential and economic growth. When counties lower their malaria burden, private investment flourishes, businesses see greater productivity, tourism barriers fall, and families and economies thrive. Not only have investments in malaria saved over 3 million lives since 2000, but billions of dollars have been recouped in GDP growth. Today we stand just over 600 days from the Secretary-General’s deadline to achieve the Millennium Development Goals and our target of reducing child deaths from malaria to fewer than 100,000 – on a path toward ending deaths from malaria forever. We know what it will take to accomplish this goal, and we know what is at stake if we deviate from our course. History has demonstrated that when funding for malaria decreases, deaths from malaria spike. We must ensure that lifesaving mosquito nets, treatment and testing continue to be available to all who need them. Failure to meet these needs will result in a tragic backsliding and losses we cannot tolerate, including of the billions of dollars we have invested to date. The good news is that the impressive partnership comprised of African leadership, funding and implementing partners, and civil society champions is firmly committed to protecting our collective malaria investment. With commodity prices declining and endemic countries investing more of their own resources in malaria control, our global rate of return on malaria intervention continues to increase.